Trials have now been successfully completed and a biodegradable cup recycling service is now in place. It is important that Biodegradable cups are not mixed with any other waste and put into our COMPOSTABLE SACKS for collection. Save a Cup has developed a network of Industrial Composters. Before a client can use the scheme they are required to register with Save a Cup and purchase our sacks and bins. 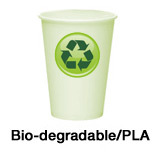 The biodegradable cups need to be collected in our special compostable sacks, manufactured from POTATO STARCH. 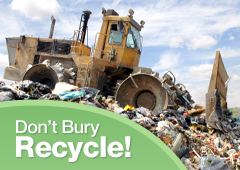 Once the sacks have been collected from site by Save a Cup they are delivered directly to a COMPOSTING FACILITY where the sacks of cups are blended in with other GREEN WASTE. After going through the composting process (approximately SIX weeks), the result is compost which meets the PAS 100 standard. The compost product is used in a number of processes such as spreading on agricultural land, land capping etc.